Michael McDowell has been on a race track nearly his entire life. At the early age of 3, when most kids were learning to ride a tricycle, McDowell began competing in bicycle motocross (BMX) events. At 8 years old, he moved up to four wheels and started kart racing, traveling the country for the next 10 years — along the way winning 18 consecutive feature races, a World Karting Association championship, and back-to-back International Kart Federation championships. Still in his teens, McDowell graduated to larger open-wheel race cars, earning a championship in Formula Renault USA in 2002. Moving to the Star Mazda Series, he took Rookie of the Year honors in 2003 and yet another championship title in 2004, a season in which he compiled seven wins and six poles. In 2007, the young driver took his talents to the world of stock car racing. Competing in his first full season in the ARCA Series, McDowell scored four wins and nine poles, claiming Rookie of the Year honors and finishing second in the championship. 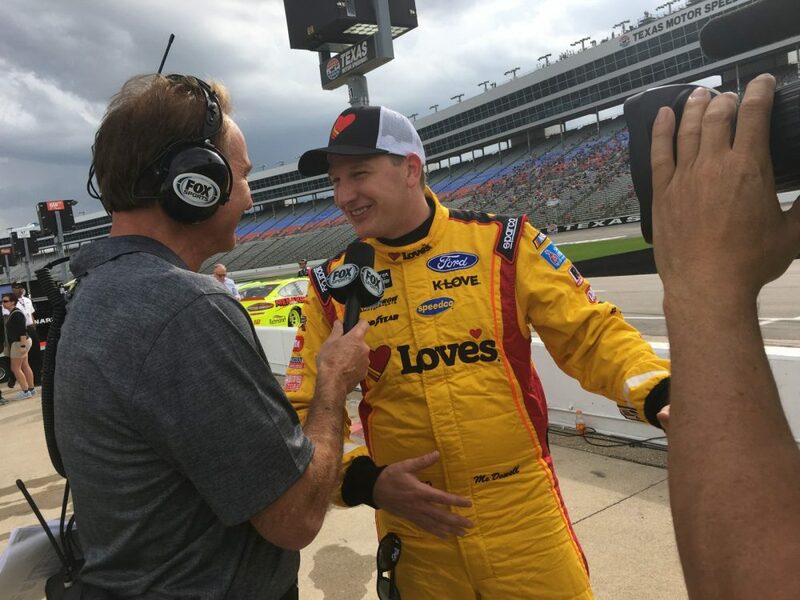 Later that same year, he got a taste of stock car racing’s highest levels of competition, as he was tapped to run a handful of races in two of NASCAR’s national series: the Camping World Truck Series and the XFINITY Series. Despite only running a few races, McDowell’s talent got noticed. And the following year, the 23-year-old was handpicked by Michael Waltrip Racing to run full-time on NASCAR’s biggest stage, the Monster Energy NASCAR Cup Series, where he has now competed for 10 seasons. He also continued to race in the XFINITY Series, amassing one win, six top-five and 20 top-10 finishes, and two poles over nine seasons. He earned his best Cup series career finish in 2017, finishing fourth at Daytona International Speedway. In 2018, he finished 11th at the Daytona 500. On this episode of the podcast, we talk to McDowell about his 2018 racing season, why he got into racing, where his faith in Christ took shape, why he is passionate about evangelism, and how God’s hand was with him in one of the worst crashes he suffered.